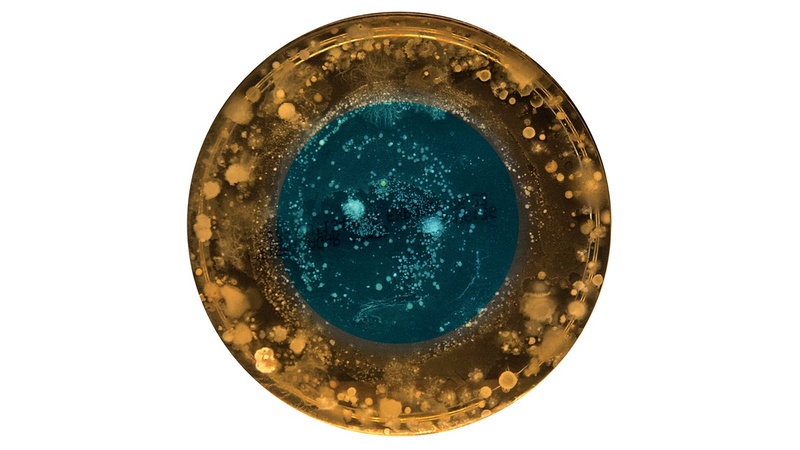 An artist named Joana Ricou has teamed up with microbiologists to create really awesome portraits of bacterial cultures of belly button microbes. There are more than 400 portraits and they are on display at the Art Laboratory Berlin as part of the exhibit Nonhuman Subjectivities. Belly button bacterial culture from Celine in Cornwall, 2015. Portrait by Joana Ricou. For more portraits visit The Guardian article on Ricou’s portraits here.